VANCOUVER, BC--(CCNMatthews - February 01, 2007) - LED Medical Diagnostics Inc., a Vancouver-based medical device company, recently closed a USD 6 million financing round through Integral Wealth Securities Limited. 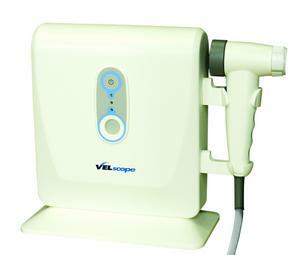 The company will use these funds to aggressively market and distribute its FDA (510k) cleared VELscope® (Visually Enhanced Lesion Scope) oral mucosal examination device in the United States and Canadian dental markets through its wholly owned subsidiary, LED Dental Inc.
VELscope is a clinically proven adjunctive screening device that utilizes a narrow band of blue light and specialized filtering technology to help dental professionals evaluate oral mucosa for abnormal areas of concern, such as potentially cancerous lesions that may not be apparent under white light. In addition, this round of funding will enable LED Medical to accelerate its efforts to integrate the use of VELscope into the oral hygiene and oral pathology curricula of leading dental schools throughout North America. According to Peter Whitehead, CEO and Director of LED Medical: "This oversubscribed round of financing was a resoundingly strong vote of confidence by the investment community for our proprietary Direct Tissue Fluorescence Visualization Technology and the potential it has to help save lives." VELscope was proven effective in clinical trials conducted by the British Columbia Cancer Agency (BCCA) and financed in part by over $50 million in grants from the National Institute of Dental and Craniofacial Research, part of the National Institutes of Health, a U.S. government-funded agency. (1) U.S. Department of Health and Human Services: Oral Health in America: A Report of the Surgeon General. U.S. Department of Health and Human Services, National Institute of Dental and Craniofacial Research, National Institutes of Health - Rockville, MD, 2000. (2) Oral Cancer Foundation, Oral Cancer Facts (Internet). 24 October 2005 (cited 28 January 2006). Available from http://www.oralcancerfoundation.org/facts/index.htm. The Private Securities Litigation Reform Act of 1995 provides a "safe harbor" for forward-looking statements. Certain information included in this press release (as well as information included in oral statements or other written statements made or to be made by the company) contains statements that are forward looking, such as statements relating to anticipated future revenues of the company and success of current product offerings. Such forward-looking information involves important risks and uncertainties that could significantly affect anticipated results in the future and, accordingly, such results may differ materially from those expressed in any forward-looking statements made by or on behalf of the company. For a description of additional risks and uncertainties, please refer to the company's filings with the Securities and Exchange Commission.